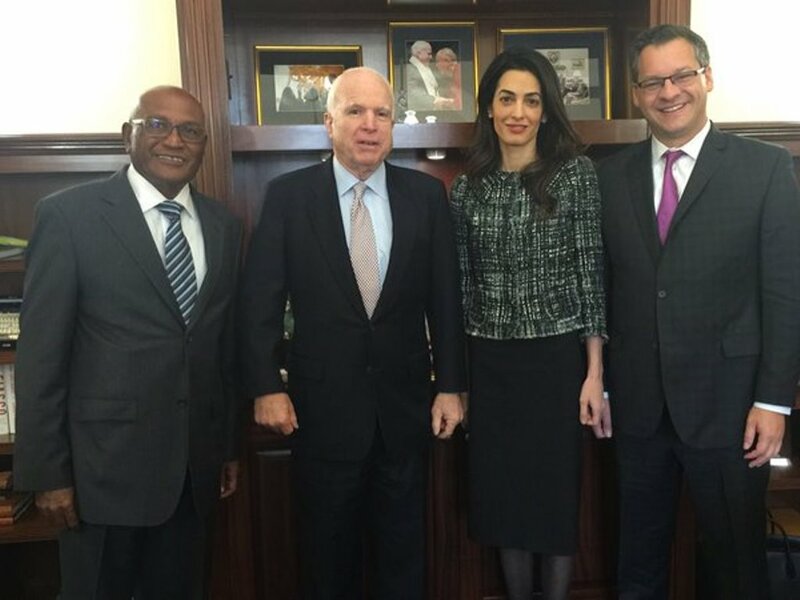 Amal Clooney and Jared Genser meet today Senator John McCain on Capitol Hill in Washington D.C., to discuss issues of human rights in the Maldives as well as the plight of her client, the country’s former president Mohamed Nasheed. In June 2015 U.S. 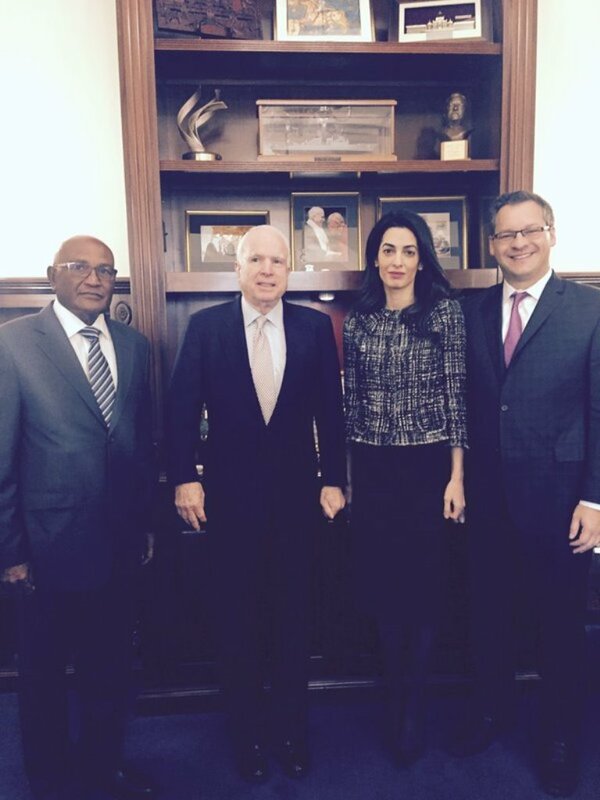 Senators John McCain and Jack Reed sent a letter to Secretary of Defense Ash Carter and Secretary of State John Kerry last week expressing deep concern about the deteriorating situation in the Maldives and the implications of recent events for the democratic process، human rights and U.S. national security policy in South Asia. The same guy who once publicly sang, “Bomb Iran,” is now claiming to care about human rights. I hesitate to think what his solution to Nasheed’s imprisonment would be. Perhaps it would involve bombing the Maldives? I found her jacket! It’s Chanel! Amal’s jacket has buttons and a collar. Thank you for your help. I found this Chanel jacket too and my first impression was yeah ! But, sadly it is not the same.